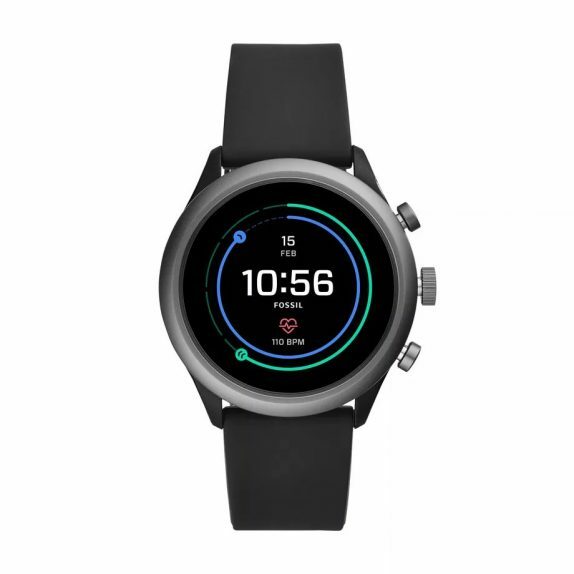 Fossil today has announced the Fossil Sport Smartwatch that is powered by the Qualcomm’s latest Snapdragon Wear 3100 platform and runs on WearOS by Google. It boats features like extended battery life, a new battery saving mode, enhanced ambient mode, integrated heart rate, NFC, and GPS capabilities. The Fossil Sport comes in two case sizes; 41 and 43 mm, and packs 350 mAh battery with Rapid Charging support that offers one day’s battery life in the full smartwatch experience, and the new battery saving mode adds an additional two days of telling time. it runs on WearOS by Google with options like Quick Swipe, faster access to information, receive proactive help from the Google Assistant and get smarter health coaching from Google Fit. It comes with a heart rate sensor, optimized connectivity, GPS, and NFC capabilities on the platform. All watches will come with new applications auto-installed, including Spotify, and Noonlight. It comes with interchangeable straps and bracelets in 18mm and 22mm sizes. The watch is compatible with iOS and Android and can be connected via Bluetooth technology. It supports Wireless syncing and magnetic charging. The Fossil Sport smartwatch is priced at $255 (Rs. 18,440 approx.) and will be available starting November 8 on Fossil Website and in select Fossil retail stores globally on November 12. For several years, the health and wellness industry has been converging with smartwatch technology—and Fossil knew there was a tremendous opportunity to provide a connected option for the design-conscious consumer looking to bring style to their wrist. We know our consumers want versatility both in their activity and their accessories, which is why we wanted to bring a smartwatch to market that is a fit for every style. We’re incredibly excited to be able to offer a colorful sport smartwatch with endless customization and equipped with latest Google and Qualcomm technology for a best-in-class consumer experience. The smartwatch market continues to grow at a rapid pace with unprecedented innovation in the industry. 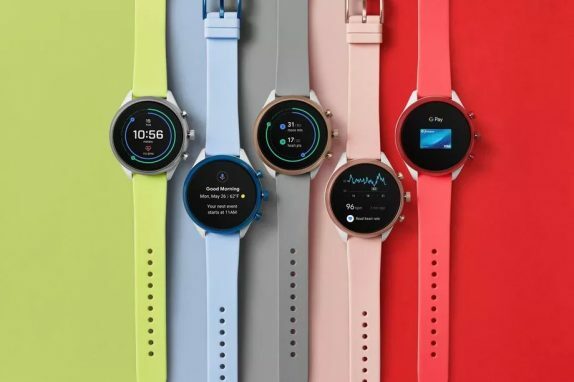 Over the last three years, Fossil and Qualcomm have collaborated closely to launch a series of products and have led the Wear OS by Google smartwatch segment. The Fossil Sport smartwatch represents our best efforts yet made possible through the combination of Qualcomm’s world class Snapdragon Wear 3100 platform and Fossil’s ingenious pulse of the evolving consumer needs. This smartwatch truly represents the best of technology, fashion, and fitness.